Blog Posts - Hygeia Healing for Body, Mind and Soul. This article caught my attention recently, and as I read it, it seems an excellent description of how the Trump + Alliance team is accomplishing what needs to be done to “take down” the cabal. I am sure that DJT was selected for the job because of his pre-existing security team protection measures which he developed over decades. Now this “Praetorian” is serving all of us in exposing and dissolving “the deep state cabal”. Fascinating reading, in my view. Go to the end of the article to view information about the author, “Rex”. Rex, used to have the Twitter handle “ImperatorRex”, but then he was “banned” from Twitter. 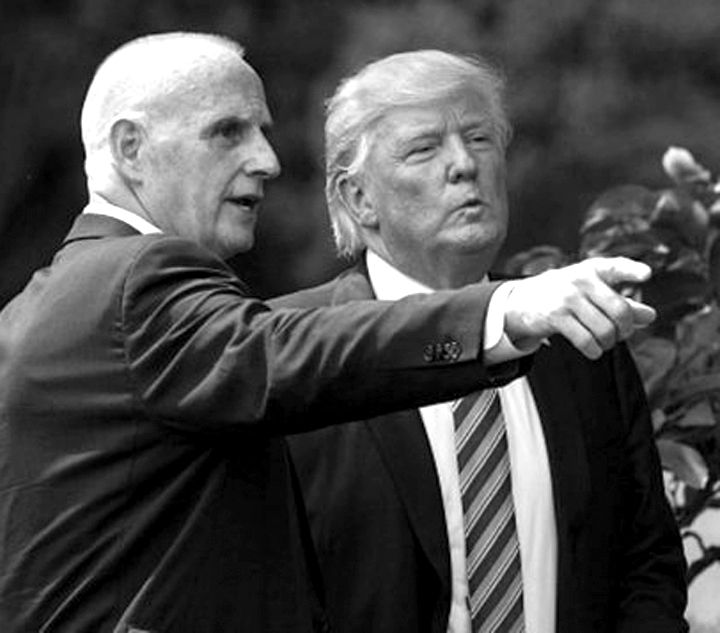 Anyway, the article outlines how DJT already had a Praetorian Guard set up during his business empire days, and he brought in one of them, Keith Schiller, to serve as Praetorian for President DJT. He left the WH after 8 months, but then went “underground”, at which point, all H— began breaking loose… for the deep state, that is. “Recent events indicate that President Donald J. Trump’s praetorian guard have been at work… In just six days this month, five political careers burned to the ground… Elizabeth Warren was exposed as a liar and charlatan… Then… the careers of Virginia politicians… Ralph Northam, Justin Fairfax, Mark Herring and … Tommy Norment were all destroyed in a complex, extremely well planned and calibrated takedown… There will be more hits coming, if required. “On 20 September 2017, President Donald J. Trump’s Deputy Assistant and Director of Oval Office Operations [Keith Schiller] resigned… The cover story was that Schiller was heading into retirement… They spun it as yet another sign of Trump’s collapsing administration. It was reported that Trump was heartbroken… A monumental error. You see, Schiller’s resignation wasn’t evidence of a Trump retreat… It was the beginning of a winter offensive, carried out by warriors hidden in shadows – Trump’s Praetorian Guard. “It’s probable that Schiller left the White House on Friday, 30 September, 2017… just five days later, on Wednesday, October 5… Harvey Weinstein’s career imploded… the Weinstein bombshell wasn’t just a devastating hit for Hollywood and the major stars that protected the deviant, or turned a blind eye. It also damaged the politicians who protected Weisteins – the Clintons, the Obamas and the Democratic Party. “Shadow Warriors: Trump’s Praetorian Guard… Schiller has been Trump’s feared Director of Security, since 2004. A law enforcement veteran himself, Schiller had assembled a private army of ultra loyal PIs, ex-cops, FBI agents, spooks, military veterans and detectives, well before Trump began his GOP primary run, in 2015. Such a praetorian guard must have been extremely important for a billionaire such as Trump… this private army was used by Trump as he prepared to win the ultimate prize – the Presidency itself. “Using “The Donald”, a caricature he invented to deceive his enemies, it’s likely he would have been able to also obtain damning information, that he could pass on to Schiller. There’s… little doubt that by 2015, Trump’s praetorian would have been relaying back to Trump more and more alarming intelligence about the criminality of Obama, Clinton and their Swamp enablers… Through the use of spies. “…anyone who seeks to understand Trump’s strategic genius, must become familiar with Sun Tzu… In my opinion, well before 2015, Trump and Schiller had built a vast network of spies in politics, entertainment, media, law enforcement, who would have been passing on every item of gossip about specific individuals and organisations deemed as threats, to Schiller and his team. “The Offensive Continues… Weinstein was just the start… more sexual allegation bombs dropped on Trump’s enemies, through the winter of 2017/18… Kevin Spacey was exposed. NBC’s Matt Lauer was also exposed and sacked… a number of anti-Trump Democrats and Republicans were plunged into public scandal, resulting in their resignations. By January 15, there were more Congressional resignations in one session, than at any time at least 117 years… By November 2018, 104 Congress members (23%) were leaving, the highest percentage since 1974. “2019 – Endgame for Trump’s Enemies… It’s important to remember that when the offensive began in late 2017, Trump’s enemies were far stronger than they are now. In 2019, the tables have reversed. Trump is in the ascendancy and his enemies have very little protection left, apart from a FakeNews complex that is declining in influence and power, 24/7. Yes, they’re all trying to keep going. But don’t worry. There will be more hits coming, if required. As you will see in this piece, these events aren’t random. In fact, they are connected. And the path leads back to a specific date – 20 September, 2017. On 20 September 2017, President Donald J. Trump’s Deputy Assistant and Director of Oval Office Operations resigned. The “resignation” was exactly eight months after the day of President Trump’s inauguration. His name was Keith Schiller. In Schiller’s two powerful White House positions, he would have had a broad security clearance, as well as unique access to Trump’s schedule, communications and strategic thinking. He would have also been able to observe the Swamp in detail, identifying the enemies of the Republic at work. The cover story was that Schiller was heading into retirement. FakeNews was ecstatic at the departure of one of Trump’s key allies. They spun it as yet another sign of Trump’s collapsing administration. It was reported that Trump was heartbroken. Keith Schiller faded away into the shadows. After a few weeks, Trump’s arrogant and distracted enemies had moved on and appear to have forgotten him. As we will see, this was a major error, on their part. A monumental error. You see, Schiller’s resignation wasn’t evidence of a Trump retreat. Far from it. It was the beginning of a winter offensive, carried out by warriors hidden in shadows – Trump’s Praetorian Guard. Their first blow came on October 5, 2017. It’s probable that Schiller left the White House on Friday, 30 September, 2017. What happened just five days later, on Wednesday, October 5? On October 5 & 6, the New York Times lit the fuse, breaking news of Weinstein’s years of lechery. On October 10, the bomb exploded. The New Yorker laid bare Weinstein’s years of sexual deviance. And the Weinstein bombshell wasn’t just a devastating hit for Hollywood and the major stars that protected the deviant, or turned a blind eye. It also damaged the politicians who protected Weisteins – the Clintons, the Obamas and the Democratic Party. Coincidence? I think not. And remember, this happened before the ‘MeToo’ movement had any pulse. I will return to other hits meted out by Schiller’s crew, below. But first, let’s find out more about them. Many forget that Schiller has been Trump’s feared Director of Security, since 2004. A law enforcement veteran himself, Schiller had assembled a private army of ultra loyal PIs, ex-cops, FBI agents, spooks, military veterans and detectives, well before Trump began his GOP primary run, in 2015. Such a praetorian guard must have been extremely important for a billionaire such as Trump. The US and global construction sector is one of the most dangerous, toughest business environments in the world. In that sector, the ability to deter or defeat enemies – many who wouldn’t think twice about attacking you or your family – isn’t just a question of good strategy. It’s a question of survival. Of course, this private army was used by Trump as he prepared to win the ultimate prize – the Presidency itself. When did Trump commit? Experts such as Thomas Wictor, Saul Montes-Bradley and Brian Cates – as well as many other analysts – have concluded that Trump probably planned his presidential run about thirty to forty years ago. Trump is on record as considering and rejecting it as a ‘mean’ life in 1980. In hindsight, his 2000 campaign is better understood as a preliminary ‘taste’, rather than a serious attempt. It’s difficult to pinpoint when he felt the timing was right to seriously commit to a White House run, but Trump’s anger and mounting concern about the direction and corruption of the Obama administration was clear. In my view, Trump decided to activate his plan in 2012, when Obama was re-elected. However, it’s probable that he started preparing many years beforehand. By virtue of his wealth and power, Trump himself had unique access to the highest levels of power, for decades. Using “The Donald”, a caricature he invented to deceive his enemies, it’s likely he would have been able to also obtain damning information, that he could pass on to Schiller. There’s also little doubt that by 2015, Trump’s praetorian would have been relaying back to Trump more and more alarming intelligence about the criminality of Obama, Clinton and their Swamp enablers. How were they obtaining information? Through the use of spies. In my opinion, well before 2015, Trump and Schiller had built a vast network of spies in politics, entertainment, media, law enforcement, who would have been passing on every item of gossip about specific individuals and organisations deemed as threats, to Schiller and his team. At ground level, this would have encompassed doormen, limo drivers, couriers, electricians and plumbers, hot dog sellers, janitors, receptionists and secretaries – in other words, normal people, who may have had no idea the information that they were passing on was for use by Trump himself. This would have created a huge flow of information that could be triaged, evaluated, confirmed and filed – for future use – by Schiller and his experts. I mentioned the Weinstein takedown above – which started on October 5, 2017, a week after Schiller left the White House. But Weinstein was just the start. On Jan. 15, Pat Tiberi became the 12th member of the 115th Congress to resign from office. If that feels like a lot, that’s because it is; it’s the most people who have resigned from Congress through this point in the session in at least 117 years. As 2018 unfolded, the offensive continued. By November 2018, 104 Congress members (23%) were leaving, the highest percentage since 1974. But damage was being meted out across media, Hollywood and in politics outside Congress, as well. There isn’t sufficient space here to cover them all, but the list is long. They include, for example, New York Attorney-General Eric Schneiderman (May 2018). Which brings us to 2019. Elizabeth Warren. Ralph Northam. Justin Fairfax. Mark Herring. Tommy Norment. We are seeing enemies of the Republic, Democrats and corrupt GOPe swamp critters, under assault. Unlike the allegations against Trump himself, which are never supported by any credible evidence and hence always fail, there’s an MO that connects many of these takedowns and indicate that Trump’s Praetorian are almost certainly behind them. The key indicator is professionalism. These attacks use the tradecraft of experienced spooks – intelligence, preparation, timing and deniability. After analyzing these hits in some detail, I can identify five key characteristics. First, the targeting is always strategic. Second, there is always credible evidence that is produced, to back up the allegation. Third, the evidence is leaked to media, in a way that they cannot ignore. Fourth, those behind the hits keep damning information back, using only what they require to achieve the objective. Fifth, the execution is always timed for maximum impact, which is evidence of detailed planning. And while these hits are almost always targeting Trump’s rivals and enemies, have you noticed there’s another characteristic they share? Trump always seems a million miles away from them. Again, this is consistent with “Sun Tzu” strategy. But if you examine the timeline, you’ll find there has been a non-stop assault, since October 2017, using a very similar MO every time – and it kicked into full gear one week, after Keith Schiller disappeared into the shadows. It’s important to remember that when the offensive began in late 2017, Trump’s enemies were far stronger than they are now. In 2019, the tables have reversed. Trump is in the ascendancy and his enemies have very little protection left, apart from a FakeNews complex that is declining in influence and power, 24/7. Arrogant, lazy and not very intelligent, they have been outmanouvered by brilliant strategists such as Trump – and very professional operators such as Schiller and his team, who know how to wreak havoc from hidden places. Be in no doubt. As 2019 unfolds, Trump’s Praetorian will continue to rain hell on Trump’s enemies, who must be terrified at what’s coming. Some may not approve of these tactics. In normal times, I would tend to agree. But as we all know, these are not normal times. The enemies of the Republic are evil, cruel people who will stop at nothing to increase their power and wealth. This includes destroying the lives of innocent people, or worse. I have no pity or sympathy, for any of them. In this environment, we should be grateful for the work of men like Keith Schiller and Trump’s Praetorian guard. Working in the shadows, they are helping to save the American Republic. And we can watch in awe, as they go about their work. REX is a citizen journalist and analyst of military intelligence, counter-intelligence and military strategy. His current focus is SpyGate, the criminal conspiracy to steal the 2016 US Presidential election, as well as ObamaGate, how Obama’s police state illegally targeted and harrassed innocent citizens, including illegal surveillance, for political purposes. Before twitter censored him, REX operated under the handles ImperatorRex3, VachelLindsay and MAGAREX1. SerialBrain2: So you thought Trump caved? Then you are not paying attention.